The EvolveAR family is full of fiercely talented individuals, passionate about creating experiences with an aim to change the way people learn, engage, and connect. We are a full service AR agency that works passionately for the future of augmented reality. 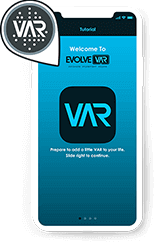 The EvolveAR team brings together years of experience in marketing digital agencies, SMBs, and brands through augmented reality. We believe that augmented reality has the power to change the way people discover and interact with useful and educational information. As pioneers in Augmented Reality, we deliver AR experiences to benefit our clients to connect and engage with prospects in an immersive way. Our goal is to create realistic brand experiences that resonate, inspire and influence people to act. It takes exceptional vision, expertise, commitment, and creativity to chart the future of augmented reality and change the world. 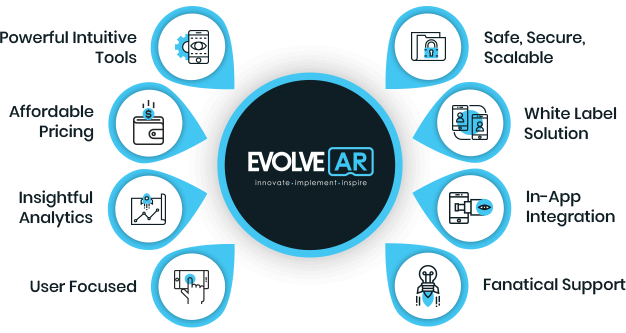 At EvolveAR, we benefit companies utilize the business potential of augmented reality. We help marketers, educators and small businesses to create inspiring, educational & engaging content which generates commercial value and ROI. We develop AR mobile apps for iOS & android with photorealistic 3D; we create virtual reality games for high-end headsets as Oculus & Vive, and for mobile VR platforms as Samsung Gear VR, Google Daydream & Cardboard. Achievement is what moves us. Want to join the EvolveAR family? If you have a love for creation or looking for a collaborative team with a strong mission, come onboard!